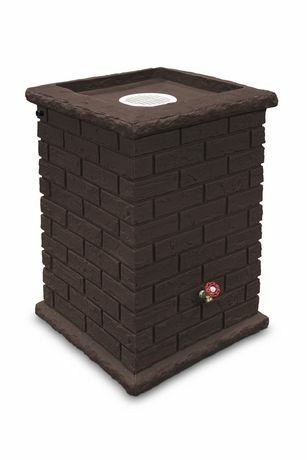 With the look and texture of landscpae stones the Brickworks rain barrel from Equinox Environmental will look great in any yard and at the same time store rain water for the times when you need it. 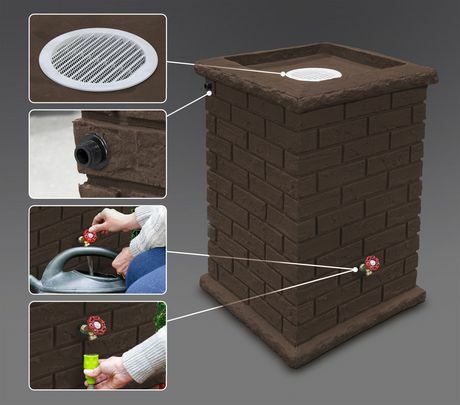 Not only is the collection of rain water good for the environment, your plants will LOVE it as it is devoid of chemicals such as chlorine. 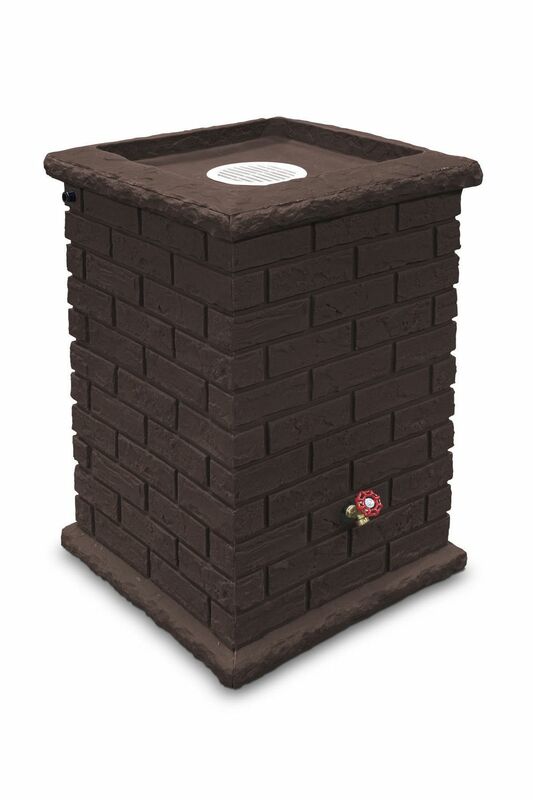 This extremely durable and good looking made in Canada rain barrel is rotationally molded and includes a high quality brass spigot, debris screen and overflow.